I have a confession to make. Practicing hospitality scares me. Don’t get me wrong, I love the idea of hospitality. My shelf is full of books on the subject and I’m drawn to blogs that center around opening your home. My heart truly craves being hospitable to both friends and strangers, but sometimes I am self-conscious about my home and my ability to welcome people in. It’s a beautiful concept, but one I find myself struggling to put into practice. About two years ago, my husband and I started building our home on some acreage out in the country. We drew a floor plan on graph paper, then took on the laborious task of building from the ground up with our own hands. With each long day that we swung hammers, raised walls, put down flooring, and finally rolled on paint, I dreamed of all the people I would one day invite into this space. We would have more room, more outdoor space, and it would be better decorated and more welcoming. Now that we’re moved in, it has all those things, but it is also full of unfinished projects like baseboards and ceilings that still need paint, patchy grass that becomes a muddy mess with every rain, muddy floors from dogs that track in that muddy mess, and a honey-do list a mile long. There is always an excuse for me not to invite people. I’m afraid my house is never clean enough and I worry my guests will see all the imperfections. I keep putting hospitality to the side until projects are done, or life isn’t too busy, or I feel like things are finally settled. Sometimes insecurity creeps in that has more to do with me than the state of my house. Truth is, I’m not the best at making new friends and social gatherings sometimes make me feel awkward and lonely. These same insecurities arise when I think about inviting others to my home. What if it’s not the home they’re judging, but me? So how do I get past this fear, especially when hospitality is a common theme running through scripture? Years ago, I heard a speaker talk about loving others. He spoke of his desire to be a “there you are” person instead of a “here I am” person. A “there you are” person puts the focus on others. It’s a beautiful description of loving our neighbor. It is other-focused, instead of self-focused. It is Paul telling us, “Let no one seek his own good, but the good of his neighbor” (1 Corinthians 10:24). It is Jesus ministering to the masses, and to the individual. It is scripture reminding us that loving others is part of the greatest commandment. Being hospitable means putting others ahead of myself. When I’m focused on the guest and his or her needs, the wall of insecurity and fear I built around myself crumbles. 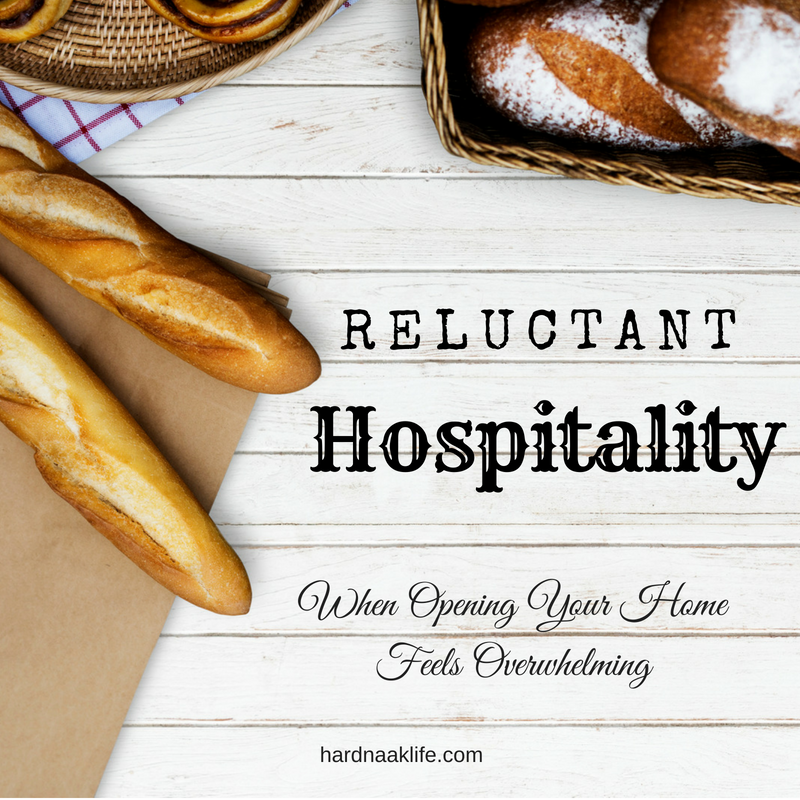 What does real, honest, open hospitality look like? It is inviting people over for a pancake breakfast on a Saturday morning even though there are dishes on the counter from last night. It’s a backyard bonfire, while your two elderly dogs and one skinny, yellow cat snuggle up to your guests. It’s taco Tuesday, minus the crunchy taco shells you forgot to grab at the store. Sometimes hospitality looks like picking up a few pizzas and bringing them to a friend’s house, so she doesn’t have to pack up all her kids and haul them across town during nap time. Being hospitable is not extravagant and it’s certainly not about putting myself or my home on display. 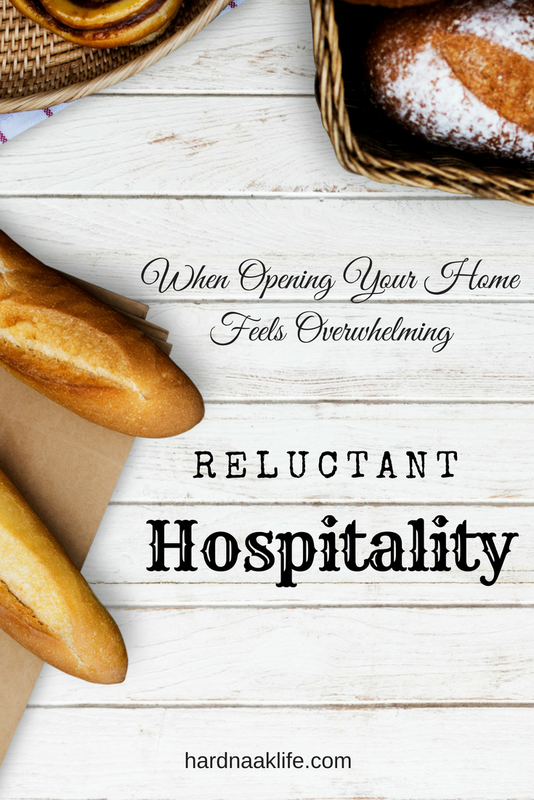 True hospitality puts the focus on the people who walk through my front door. When I make loving my guests a priority instead of feeling stressed or self-conscious about the state of my home, I create an atmosphere of comfort and fellowship. Hospitality isn’t about me. Instead, it’s about seeking what is good for those God calls me to love. It is being a “there you are” person. I invite people in because I am imperfect, and they are imperfect, but together we can create beautiful fellowship and beautifully imperfect friendships. If you let people in your life, soon they won't be just knocking on your door; they'll be knocking on your heart. And you'll welcome them in with open arms. Thank you so much for sharing this! Hospitality can really freak me out a bit too! I have such a strong desire to open up my home and be a haven for others but I am naturally such a hoarder of my energy.